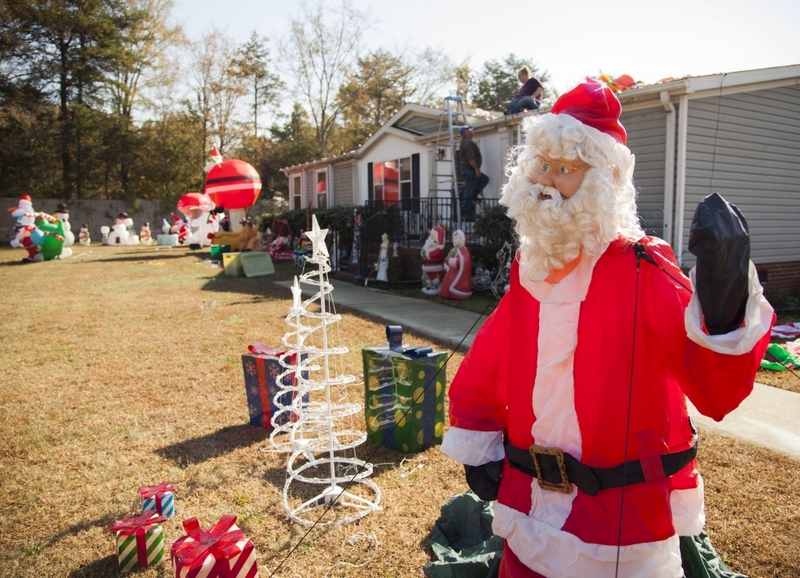 A week before Thanksgiving, with the temperature in the mid-60s, David Farman bedecked his yard with dozens of Christmas decorations: A small herd of lighted reindeer, a parade of Nativity scenes, a smattering of gift boxes, and a flotilla of inflatable Santas and snowmen. For more than a decade, Farman has lived on this one acre lot in rural Person County, down Dunnaway Road from Duke Energy’s coal-fired power plant. Ironically, he doesn’t get his electricity from Duke, but he does receive bottled water from the utility for his family of five and his flock of pet birds. His well could be contaminated with chemicals from coal ash — some 35 million tons — that is stored in two ash basins at the Roxboro plant. Some of the material is being excavated to an onsite lined landfill, but Duke wants to leave the rest of it in the basins and de-water and cover it, a disposal method known as cap in place. The utility submitted its closure plans to the EPA earlier this month, which is legally required under the federal Coal Combustion Residuals Rule. Duke defends cap in place as meeting federal and state environmental standards (which is accurate, although one could argue about their rigor). However, it’s also true since the basins would lack a bottom liner, contaminants could still leech into the groundwater. Or, in the event of a flood, the force of the water could breach the basins and release the ash. 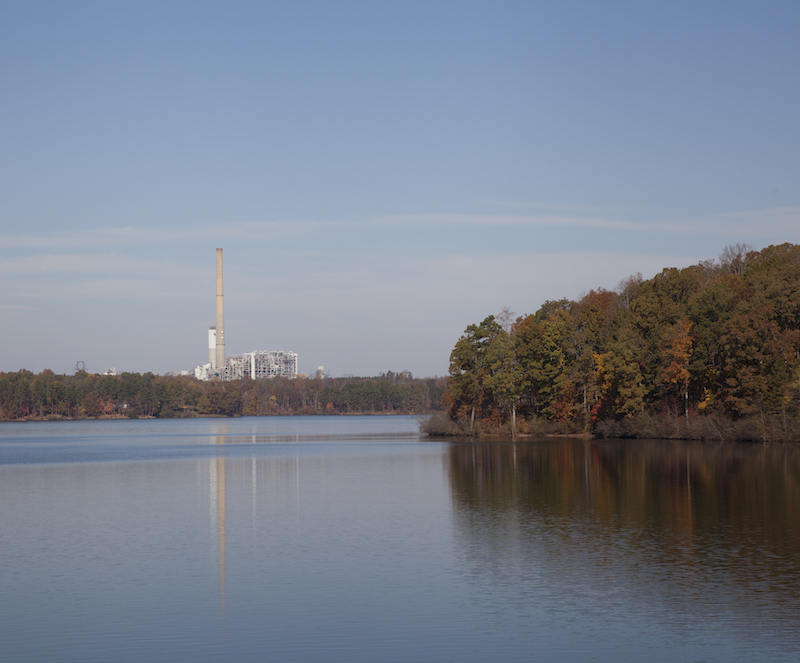 Last month, flooding from Hurricane Matthew inundated one of the inactive coal basins, which released cenospheres — a byproduct of coal ash that can contain arsenic — into the Neuse River. 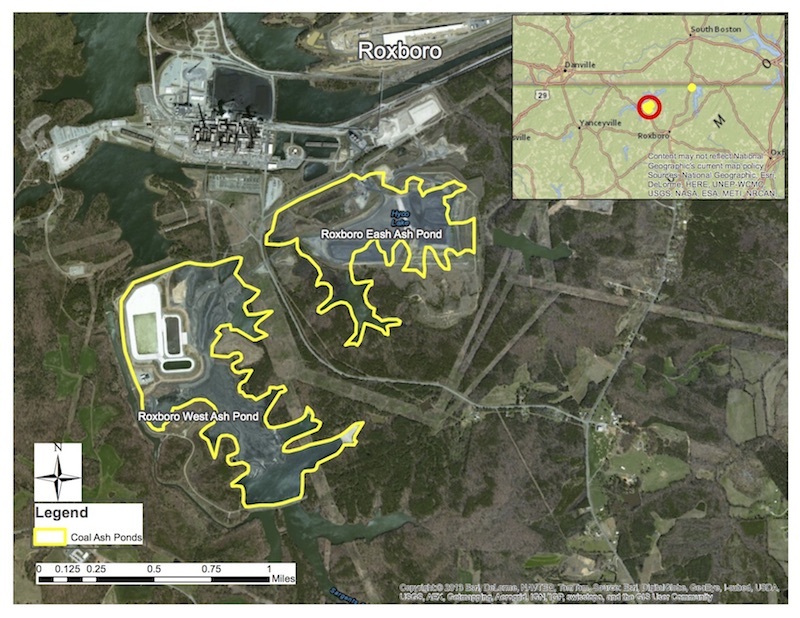 Duke justifies the cap in place method as “eliminating the need for new disposal locations” and “lowering emissions from trucks that would haul the ash away.” But new landfills and 1 million truck trips — the estimated number required to remove the ash from the Roxboro plant — would also be very expensive for the utility. Leaving the ash in place is the cheapest way out — for Duke. Coal-fired power plants use a lot of water — 70 billion to 180 billion gallons a year — to create steam for turning turbines and generating electricity. That’s why the Roxboro and Mayo plants are near Hyco and Mayo lakes. A portion of the water is also used for “scrubbing” — reducing the level of some contaminants from the coal — equipment cleaning, coal pile runoff, plus water from toilets and sinks inside the plants. Each day, millions of gallons of wastewater, which is treated, but far from pristine, are discharged into the lakes — popular destinations for boating, swimming and fishing. Hope Taylor, executive director of Clean Water for North Carolina, opposed the discharge permits in part because the state’s monitoring requirements are weak. For example, the permit would allow the utility to discharge as much as 2 million gallons of water per day from the top of the ash pond into Mayo Lake. Only weekly sampling would be required. Taylor also said the monitoring would not include some contaminants, and others, such as hexavalent chromium, have no enforceable limits under the proposed permit. And Duke could discharge contaminated wastewater into unpermitted groundwater seeps. Lisa Hughes lives near the Roxboro plant, although outside the half-mile radius where the state requires well testing. She had her well independently tested and the results prompted her to dig another well, this one 180 feet deep. Likewise, Farman has little confidence that he could access uncontaminated groundwater at his house. “I could drill a new well, but how far would I have to go down?” he said. 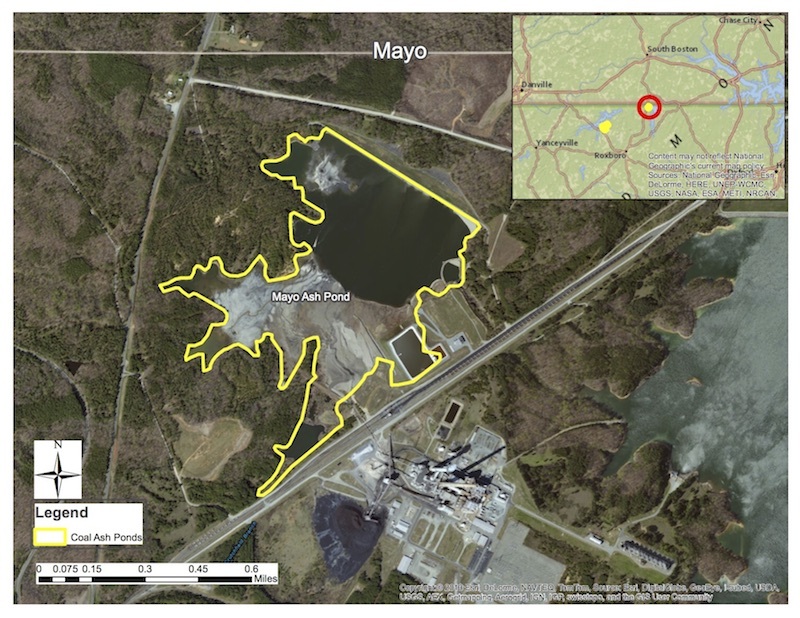 Roxboro and Mayo are among the remaining six coal ash sites in North Carolina that are still being litigated. The Southern Environmental Law Center, which represents several conservation groups, has settled with Duke or forced via court order more comprehensive cleanups at the other eight. Senior Attorney Frank Holleman said there are still pending state court actions against Duke at the Mayo, Roxboro, Belew’s Creek, Rogers/Cliffside, Allen and Marshall sites. 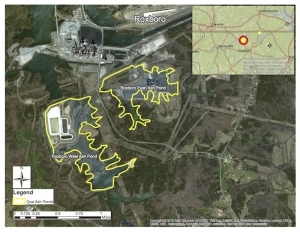 In addition, a federal suit is pending, filed by SELC on behalf of the Roanoke River Basin Association, over wastewater discharges into Mayo Lake that could violate the Clean Water Act.